You've probably heard that group coaching is a must-have for your coaching business, but you may never have thought about becoming a Certified Group Coach. In my opinion, you don't have to offer group coaching, but if you're ready to branch out from just one-to-one coaching clients, group coaching is the next logical place to go. Yes, information products are great, but dollar for dollar and hour for hour, you'll make more from group coaching, especially if you don't already have a mailing list of thousands. There are probably hundreds of good reasons to add group coaching to your business, but I've highlighted ten from my own experience below, just to give you an idea. Group coaching is an advanced skill set, combining many of the skills of one-to-one coaching with group facilitation and more. I thought it would be easy for me, because I was a very good one-to-one coach with 15 years of experience as a college professor. In the beginning, it was a lot harder than I thought! But if you think group coaching is something you want to learn more about and if you'd like to become a Certified Group Coach, skip to the bottom of this blog post and check out an upcoming opportunity. In 2003, my first coaching groups were focused on a hot new certification from the IAC, which used Thomas Leonard's Proficiencies. I was teaching the Proficiencies at the time, so offering a mentor group to help coaches master them, was a natural for me. I filled my first group up with 10 people and had to open a second one quickly, because even more people wanted to join. It kicked up my income very nicely, even though the groups themselves were a bargain to join. As I said, I charged bargain fees to my clients for those first groups, only $75 per month, per person. 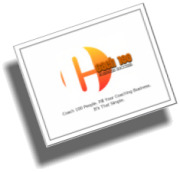 But with 20 new clients, that was $1,500 more income per month and about $250 per contact hour. Nice pay ~ and very affordable for my clients! Actually, you can charge much more for group coaching, depending on your market. 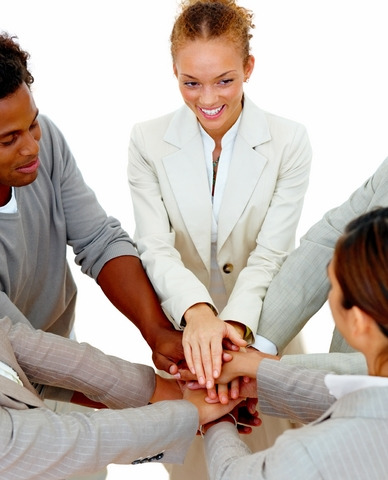 Generally, groups meet for three to six hours per month, with group sizes ranging from 3 to 10 clients. And most coaching groups cost $150 to $350 per month, per person. Do the math. 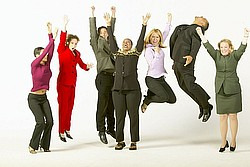 Group coaching saves money for the client and makes more money for you. I mentioned your email marketing list earlier, because your True Fans are a vitally important element in your coaching success. Building that list with just one-to-one clients can be murder. Coaching groups with 3 to 10 members each, will help you build that list 3 to 10 times faster. It's an incredible amount of work to design ebooks, white papers and other information products to attract new people to your list, but coaching is customized in the moment, so there is far less upfront work, while far more value is delivered - and at a higher price that clients gladly pay. People simply view in-person, customized service as more valuable than pre-designed, canned content - because it's far more effective. Contrary to what you may have heard, coaching clients don't need to buy cheap products from you before they hire you to be their coach. For most of them, you being a credible coach who is in the right place at the right time, with an appealing specialty or niche, is all it takes. Here's where it gets interesting: your group clients will actually get a lot more value from each other than they would from you alone, so a group of ten will multiply value by ten. Why? 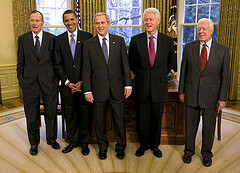 Groups are organized around commonalities between the members of the group and their mutual goals. So guess what? They have experiences, know-how and resources that you don't have and they tend to share them generously - so long as you know how to set up a bonded synchronous group, which is one of those advanced skill sets I mentioned. It's natural to balance group coaching with one-to-one coaching, because sometimes your clients need you to drill down deeper with an issue than you have time for during the group meeting. This is an important value add for your clients, which gives them the benefits of one-to-one coaching plus group coaching. You can easily add an option for each group member to have one or two individual coaching sessions per month with you and of course, you can charge extra for that. As you become known for certain specialties or niches in your coaching groups, you'll become known for those specialties and niches in all your coaching. Once I offered the Get Certified Coaching Groups, which I mentioned above, I became known as a mentor coach who helps coaches get certified. This became an important part of my one-to-one coaching practice for several years, as well - until I leveraged my reputation and what I had learned to start School of Coaching Mastery. You see, over the years, I became an expert on this type of coaching and potential clients saw me as someone they wanted to work with on this. In other words, I developed the credibility to do well with this niche and specialty. Back then, there was very little training in group coaching, so I had to teach myself and it took years of trial and error. There were no group coaching certifications, but if there had been, I'd have gotten one. Credibility is everything when you're in business for yourself. You can work day and night on a membership site, on information products and live events - or you can just coach. Group coaching pays you even more per hour than one-to-one coaching, so if a short work week is a goal for you, then group coaching needs to be a specialty of yours. As you organize your coaching groups, you'll find yourself writing more, because it'll be an easy way to communicate with groups. The nice thing about that is that once you've written something, it can be re-purposed. Remember how I mentioned that it's a lot of work creating information products? If you've already created something for a high-paying coaching group, you've been well-paid for your time. If you take that written piece and sell it as a free-standing product at a lower price, whatever you make from it will be profit. That's the easier, more profitable way to do it. Also, working with groups of people will give you a good idea what kinds of solutions they're looking for. That may spark great ideas when you're ready to do live events or create products. Remember how I said that clients don't have to try inexpensive products from you in order to be willing to hire you to coach them? Well that's true. And sometimes you'll attract people who were just looking for that inexpensive ebook that tells them how to do something, but upon reading it they'll realize what they really want is a coach. If you have both group coaching and one-to-one coaching options, you'll be able to reach more people in exactly the format they want. Just as I mentioned in #8 above, working intensively with clients will give you ideas about what they really want and need next - even when they, themselves, can't tell you what that is. So group coaching is perhaps the most valuable form of R&D possible, because you get to know your coaching clients inside and out. For me, that took me from coach, to mentor coach, to founding my own coaching school. I knew what my clients wanted and needed because I had gotten to know them so well. Where will group coaching take you and your business? Where ever it is, you'll get there much faster if you don't have to learn it all from the ground up. That's why we're offering the 8-hour Master Group Coaching Success module, which ends with a Group Coaching Certificate. You'll learn how to organize, market and facilitate successful coaching groups in these live tele-webinars, which come with written materials and more. Want to become a Certified Group Coach? Take Master Group Coaching Success, described above, and then join the upcoming Certified Group Coach Mentor Group. I'll personally mentor you as you learn to lead your own groups and get started with your very first group. You must attend both the learning module and the mentor group in order to become a Certified Group Coach. Last week, while I was coaching a buddy coach around the issue of “being afraid of making mistakes -> becoming anxious -> eating snacks” (loop endlessly), the association between errors and snacks (added with the fact that due to different time zones it was 8.30 pm and I was hungry) popped in my mind in the form of a clear image of my fridge, with magnets on it. The vision narrowed to one magnet, reading as follows: “Always make new mistakes. - Ester Dyson"
I shared the image with my client and that allowed us to make a shift about the topic. We started discussing the fact that he could become very competitive in making more errors than everybody else, joking about that. And anxiety was gone. So the magnet vision proved to be a good tool to re-frame the problem and at the same time offer a structure to help the client in dealing with performance and anxiety issues. After the session, thankful to the magnet, I gave a closer look to my fridge door. That magnet has been there for five years and I meet it every morning, but it was the first time it became handy in a coaching session. I started looking at it as one of my professional coaching tools and a source of daily personal awareness. This put the whole bunch of magnets in a new light; I stared at the magnets with more respect. To create you need errors, to be happy and growing you need new ones every day. Dare! Back to the session, because the magnet citation was useful and helped us in making a shift, I told myself “that works, I could reuse this sentence [i.e. 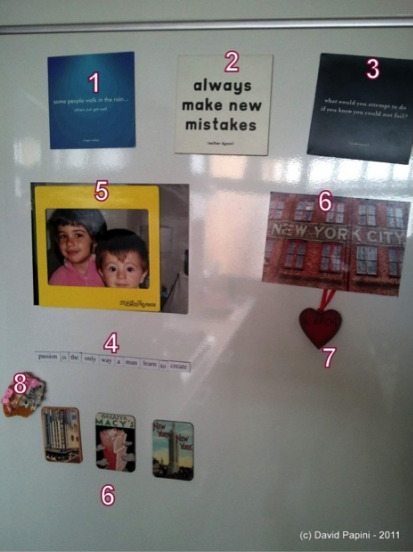 “always make new errors”] or even I can reuse the whole trick (magnet plus fridge image)”. On a second thought I realized that “reusing it” is good for consulting or teaching, not for coaching, because what made the image powerful and effective was the fact that it popped during the coaching relationship. 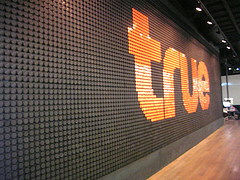 Effectiveness was related to that moment with that client. Moreover, as this blog post demonstrates, the image was powerful to the client and to the coach as well, so the right use for an effective image that helped in a session is honoring it, deepening the reflection on oneself as a coach; more than reusing it in another session or with another client. In this sense and in my opinion, every coaching session is always a unique piece; it cannot be serialized. Do not bring your fridge programmatically to a coaching session: as it happens with hunger, thirst and the like, if you stay present in the session, it will show up when needed and that will be effective and artful coaching. 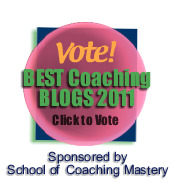 David's blog is entered in Best Coaching Blogs 2011. Check it out and vote for your favorite blogs while you're there. Yesterday I wrote about the first five secrets to filling your coaching business with ease. 6. Nix the Negative Nancies. Some people don't see the value of coaching. Worse, some people may not see the value in you. If you're surrounded by people who say things like, 'Why would anybody pay you for that? ', they could stop you from succeeding. Seek out people who believe in you. Spend time with those who 'get' why coaching is such an amazing service (That's one of the hidden values of a good coaching school, by the way.). If the Negative Nancies in your life start to shift just by being around your inspired energy, or by you fully communicating what you're up to, great. But if they can't, you need to shield yourself from that doubtful energy. It's okay to simplify your life by not spending so much time with them. 7. Stay in motion - focused motion. Just because you trust the process, doesn't mean you aren't actively creating what you want. In fact, that's exactly what trusting the process does mean! Develop a plan for attracting your full practice. I've seen the Coach 100 process work for hundreds of coaches. You literally give away 100 coaching sessions to 100 different people and in the process, learn to fill your coaching practice. It works. 8. Coach a lot of people for free. Whether you call it Coach 100 or something else, you need to get a lot of experience as quickly as you can. Coaching lots of different people works much better than coaching one person 100 times. Be adventurous. Offer to coach that person you chatted with at Starbucks. Ask your friends to refer their friends to you. Share your big goal with people and they will want to help you, just like people help all those reality show contestants that you may watch. Everybody loves to get on board with an exciting big goal. Yours included. 9. Learn to notice when somebody wants to work with you. This is such an important skill! New coaches leave money on the table all the time, because they don't notice when someone is interested in working with them. Most clients need to be invited. You need to notice when someone wants to be invited to be your client. 10. Get your own coach. As a coach, you know tips are helpful, but customized conversations are transformative. What's more, a coach with integrity who doesn't have a coach, is likely to feel like a fraud. A good mentor coach will more than pay you back many times by helping you be more successful faster. If you're a new coach, what are your challenges in building your business? Is the info in any of the tips above helpful? If you're a veteran coach (or at least have your first client), please share what worked best for you, in the comments section below. I'm probably biased, but the Coach 100 Business Success program is a great value and it really works. Check out Coach 100 here. A major right of passage for any professional coach is getting your very first paid coaching client. Some coaches feel a little anxious until they get their first client, especially if it doesn't happen quickly. But it doesn't have to be that way. My first client volunteered to work with me. In so doing, he inspired me to attract several new clients in my first year of coaching by following the following simple rules. It can be this easy for you, too. These principles can help you stop chasing and let your clients find you, instead. Your 1st steps are really about setting the foundation for your coaching success. It's almost impossible to show up as a great coach if doubt, fear and anxiety are causing you to feel a little desperate. Here are several things you can do to make the whole process easy as silk and still maintain your enthusiasm. 1. Develop crystal clear goals. Both short term and long term goals need to be clarified. And you might be interested to know that according to the Wall Street Journal, the single variable that is most likely to predict how profitable a business will be is how big the original goal was. Just be sure you have a plan and can see how you will fulfill your really big goals. In the meantime, have smaller, doable goals, so you know you're on track. My 1st year goal for my coaching business was to break even each month, so that my coaching income at least equaled what I was paying for coach training and for my mentor coach. I achieved it. My 2nd year goal was to pay myself back for everything I had invested upfront in my coaching business, so I could make a genuine profit. I achieved that too. By the beginning of my 3rd year, I had a full coaching practice and what I was earning was virtually all profit. Sane goals like these will keep you on track while you're creating the business of your dreams. 2. Simplify everything, including your life and your business. Relationships, jobs, family, volunteer work, etc. can all derail your business plans, if you're not careful. Beware the 'Super Coach' mentality that says you just have to do it all. Nobody can do it all. Since in the beginning, filling your coaching business takes more energy than merely keeping it full, and since early on is when your coach marketing skills are likely at their weakest, plan on putting in lots of hours and energy into your business at least for the first year or two until it's full, with a waiting list, and you have a reliable marketing engine. That may mean learning to say, 'No', a lot more often. Resign from demanding volunteer positions. Explain to the kids that you may miss a soccer game or two. Delegate at work. If coaching is your calling, you owe it to yourself and the world to clear the decks to get your business set up successfully. 3. Make sure all stake holders are on the same page. Speaking of family, friends, etc. Guilt can make building your coaching business more challenging. But your loved ones can also assist you and make it easier. Rather than feel bad that you're not doing as much for everyone else, use your coaching skills to fully communicate what you're really up to. When you share your inspiration and how much this means to you with them, the people who care most about you will whole-heartedly join your team and they may even help you find clients. This is different than trying to convince someone of the value of coaching, by the way. See #6 in tomorrow's post. 4. Get the money handled. When you know you have enough money coming in already, you can afford to trust the process of attracting clients. Starting a business is not like starting a new job. You won't get a paycheck in two weeks. But your time investment will payoff handsomely, if you go the distance. This is a good time to simplify your financial life, along with everything else. Reduce debts by negotiating for lower interest rates. Stop paying for things you aren't using. If you're not confident you have enough money coming in already, consider getting a part-time job. Some of the most successful coaches I've known took service jobs before they became successful. That way, they could focus on what they wanted to create instead of worrying about the money. 5. Tell everybody what you're up to. This is technically known as marketing, a.k.a. telling people how you can help. In your first year of coaching, even if your coaching skills aren't fully honed, yet, share your excitement and inspiration about coaching with pretty much everybody. Don't be attached to getting them to understand coaching the way you do. They probably won't. Do share your energy. That's naturally attractive and even contagious. My first client volunteered to work with me (and paid me) because I shared my excitement with him about what coaching can do. That's all it took! And he continued coaching with me for 7 years. You don't need to convince people that you can help them. Convincing never works. See below. Come back tomorrow for the last five secrets of finding your first coaching clients. Are the first five secrets helpful to you? Do you have secrets of your own to share with other coaches? Please post them in the comments section. 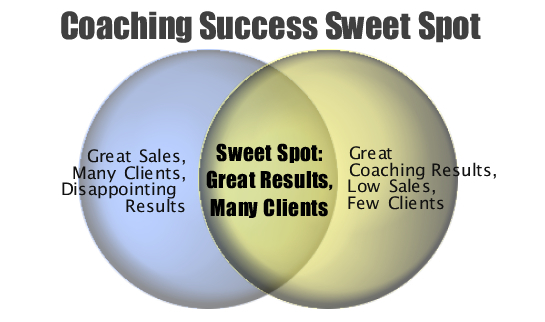 Download the free Coach 100 eBook for more ideas on how to find your first coaching clients. We've been working on a new digital product for coaches called, Master Coach Demos. The idea is to let you listen in on coaching sessions with various certified coaches (probably all IAC Certified Coaches) and hear how they demonstrate masterful coaching skills. It could be priceless value for coaches who want to be the very best and have limited time or money to spend. Here's my conundrum. The more I think about it, the more I want to do with this project. It started out as a CD or MP3 download product, but I'm not sure that would do it justice. I want it to be valuable to coaches and also come in the format/s they need. It can't be all things to all people, but it can be optimal for most people. I have a sample recording below that you can listen to, right now. It's uncut. As you listen, notice what you learn - and what you need to learn more from it. Ask for what you need in the comments area, below. I'll be happy to answer your questions, so other coaches can learn from it, too. This recording is uncut. And I'm not offering commentary right here - yet. I'd love for you to listen and ask what you want/need to know in the 'Comments' section. That'll help me understand the precise way to deliver a session like this to you for faster/deeper learning. What are the best practices that one might expect in a master coach? In other words, what are "blue ribbon practices"? At SCM, we use the IAC Ethical Principles as a guideline for what's acceptable (and hopefully at least legal) behavior in a professional coach. But that's not always enough. What are the practices that best represent professional coaching? This is a project that we are embarking on at SCM, so our coaches have clear guidelines for what's expected of mastery coaches. Best practices in the coaching profession would go much further than ethical principles. I think they also include courtesy, following through on promises, going the extra distance with service. We need specific examples to help guide our coaches, so they can show up as the very best in their demeanor as well as in their coaching skills. I'll be checking in with SCM's Board of Advisors, as well as with our Ad Hoc Advisors and some of our advanced coaches, but I'd love your input as well. What represents "Best Practices" for you as a coach? Put another way, when have you observed a coach behaving in a way that truly inspires you? Think of the coaches you really admire and and imagine what it would take for you to show up at that level. What are the qualities and specific actions involved in "blue ribbon coaching"? If you don't mind taking a moment, please add a comment below. Thanks! If I were to make a short list of important coaching skills, this one would be near the top. People naturally fill the shoes you lay out for them. When you coach any client, it's really important to coach them from the standpoint of who they are becoming, not who they are at this moment, or who they have been. You'll always have a bigger, more productive conversation, if you do. 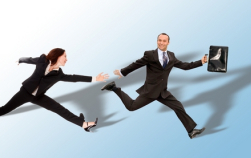 Your client will grow faster and achieve their goals. They will love you for it. I learned this because one of the best coaches I ever had, failed this towards the end and I felt the result. In the beginning, she was my greatest champion and I absolutely blossomed with her coaching and naturally stepped up to the next iteration of me. Fabulous! Problem was, I grew quickly and she continued to coach that last iteration. Eew. That doesn't work. I soon lost interest and moved on to a new coach. Imagine coaching Barack Obama as if he were still a freshman senator. Then again, imagine coaching him in 2004 as if he were the next President of the United States. And yes, our leaders in government have their own coaches. How else would they get to the top?